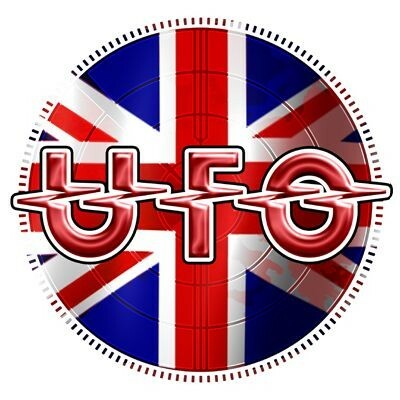 It's hard to believe that UFO will be celebrating their 48th birthday in 2017, thankfully there seems to be no indication of the band calling it a day. They have been criticized constantly for only playing the "greatest hits" but, as lead singer Phil Mogg jokingly quips mid-set, "I didn't even know we had any great hits". They have a loyal fan base and can still pull in a crowd so they must be doing something right. Their studio output is still of a high standard and on the basis of tonight's show there is still life in the old dog yet. Mogg, Andy Parker (drums), Paul Raymond (keyboards/guitar), Vinnie Moore (guitar) and Rob DeLuca (bass) make a low key entrance but storm into 'We Belong To The Night' and get a hero's welcome at its conclusion. There are one or two surprises in the set tonight, yet pretty much every era is covered. With over twenty albums and the best part of two hundred and fifty songs to choose from, it must be something of a headache to select what to play without disappointing those who still come to hear those "greatest hits". 'Fight Night' gets the heads nodding and 'Ain't No Baby' is the first of the surprises, because apparently Moore really likes the song. Mogg is on form and the between song ramblings get more bizarre and alcohol-affected as the show goes on. The introduction to 'Run Boy Run' is a great example – "This is a song from the last album. It was massive and went cardboard in seven countries". I've never been sure whether he is just playing to a reputation (the legend goes that the set never changes because Mogg can't remember the words to new songs) or whether he is drawing on a wicked sense of humour. He is seventy in a couple of years so maybe we can just put it down to senility now.... "We played here about four years ago, was I wearing the same clothes?" Moore is still regarded as the new guitarist even though he has been part of the line-up for the best part of fourteen years now. He puts a new spin on some famous solos without deviating too far from their original arrangements and has also helped create a stable environment that has allowed the band to stay on track when they could have imploded following Michael Schenker's final departure after a disastrous night in Manchester back in November 2000. Paul Raymond's contribution to the UFO sound can never be underestimated and he also adds some much needed backing vocals with DeLuca. Both Raymond and Parker have an unassuming stage manner but are essential in their roles and content to let Mogg and Moore take the spotlight. It is great to hear 'Venus' and 'Makin' Moves' again, and 'Cherry' has been brought back this year after being left out of the set for a long time. Both 'Lights Out' and 'Only You Can Rock Me' are pure Rock classics and greeted as such, whilst 'Messiah Of Love' (from 2015's 'Conspiracy Of Stars' album) gives Moore the chance to show just how versatile a guitarist he is. Raymond's keyboard intro to 'Love To Love' still gives me goose-bumps and even though the song is now forty years old, and I have seen it performed live a dozen times, I never get tired of hearing it. The main set is brought to a close by 'Rock Bottom', a Moore tour-de-force that sees him solo like his life depends on it, a song justifiably tagged as an anthem that always gets the crowd excited. The encore of 'Doctor Doctor' and 'Shoot Shoot' maintain the energy levels until the end and are backed by several hundred extra singers. 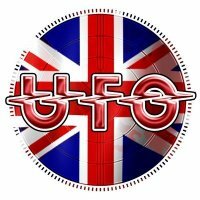 UFO may not be playing in stadium sized venues anymore, and they have never been high profile media darlings, but they are an established band who rely on musical skills rather than flashy stage shows. They played for the best part of two hours and though I have seen them play better, I was still impressed by the overall performance. Finally, I know the audience for UFO shows are generally on the mature side but did we really need the heating on at Parr Hall tonight?